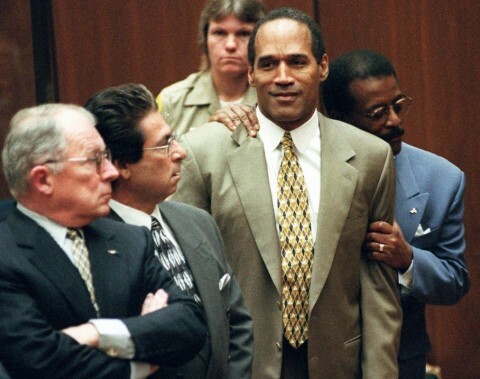 OJ Simpson reacts to the jury's verdict. Photo courtesy of the Washington Post. The OJ Simpson Trial was an 11-month saga of soap operatic proportions, regularly descending into farce despite the gravity of the charges. On October 3, 1995 the jury delivered their 'not guilty' verdict, but was it a triumph for the US legal system or a reminder that power and money will always trump justice?